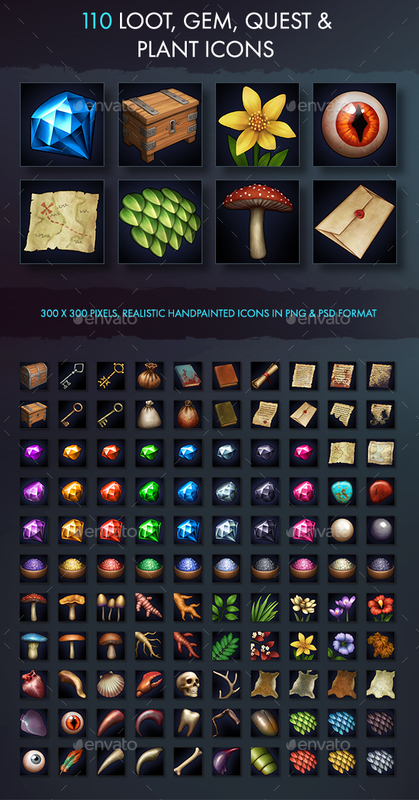 Set of 110 realistic general loot, gem, quest, and plant icons. 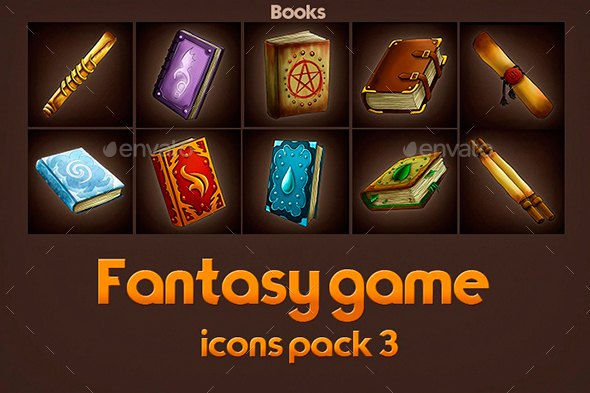 Suitable for especially RPG, strategy, crafting, builder, survival games or any genre and platform in general. 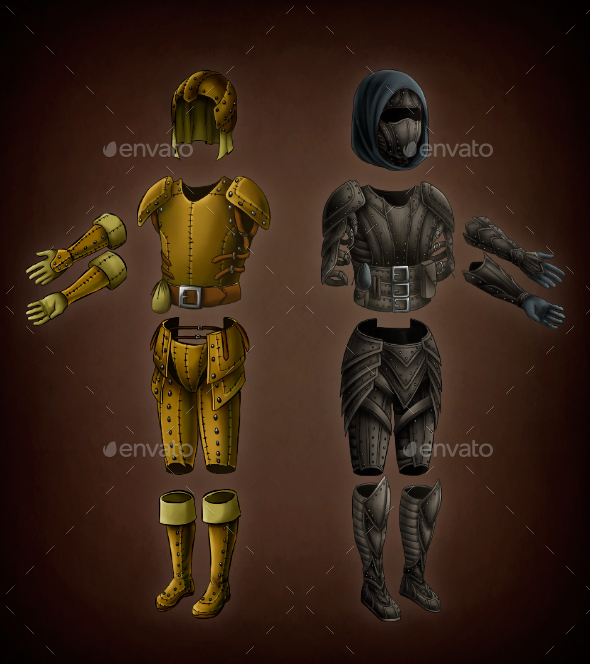 Set consists of various inventory icons such as loot containers, keys, quest items, various types and sizes of gems, plants, flowers, mushrooms, roots, monster an human loot and animal skins. 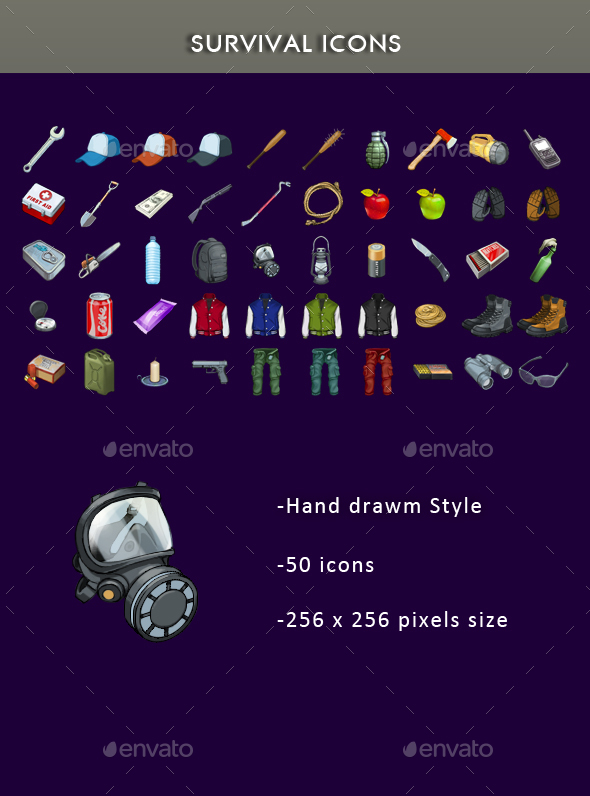 Also a PSD file containing all the icons together with the layer style which you can modify or disable is included in the package.